I was at Trouw’s first party. I was 18 or 19 back then, so it was the perfect time for a new club to open because it was the first year I could legally go out. I didn’t know anyone, so in the beginning I was this guy standing at the front from the first to the last record. But towards the very end I became a resident DJ there, so I played Trouw’s last New Year’s party and the closing party, and then I was asked to edit and write for a book we made about the club. 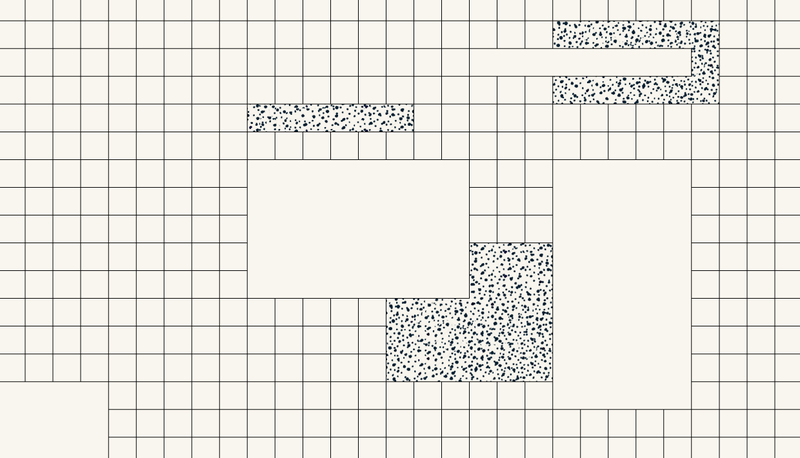 After that, Olaf Boswijk, the founder of Trouw, asked me to help out with De School and do the programming. I had never worked in the music business; I was studying literature and philosophy and did some work for the newspaper and a literary magazine, but I didn’t know anything about booking fees or networks or agencies. I like the idea that Olaf didn’t go for a well-known booker with a big network, as one of the main ideas behind our projects is always to work with the same community of people—even if they aren’t really educated in the music business. 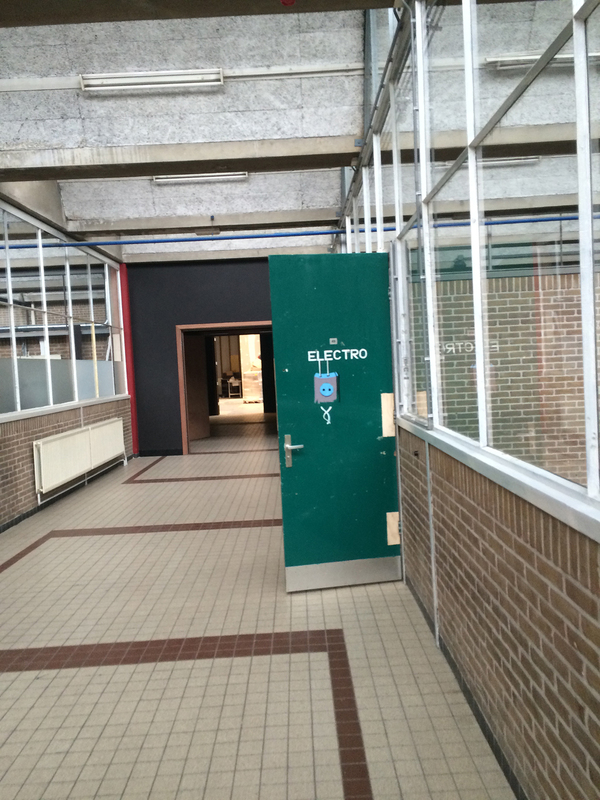 Most of the team at De School had a connection to Trouw. Also, our projects are always temporary; first there was Club 11, which evolved into Trouw, and De School is also a temporary project that will last five years. We want to always use buildings with multiple functions so that we can really contribute something to the city and not just to clubbers. If you don’t provide something for the people who live in the neighborhood, then you’re just invading and providing for quite a small group of people. Since De School has a gym, a concert space, a club space, a café and a restaurant, people in their 60s come here as well as teenagers who come for hip-hop concerts or boxing classes. 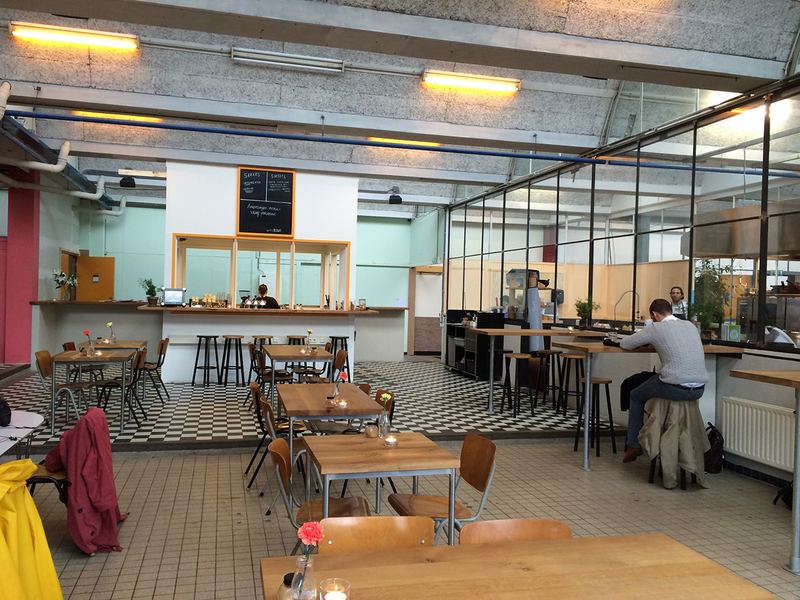 The planning for De School began before Trouw closed. Olaf was really important in the process, but he didn’t want to be directly involved with this because he wanted to go on a year-long bus trip from Canada to Patagonia . He was like, “I want to help you set it up, and then I’m going to step back.” So that’s what he did. He helped us find this place and form the team, and he gave us a network. For half a year it felt risky and we didn’t want to get our hopes up because we were waiting for so many licenses; we got our final license the day before our opening party. It also helped that De School is temporary and more than a club, as the city knew it would improve the neighborhood and make people want to be here. There’s not much happening around here because it’s right next to the highway and there are a lot of office spaces, which is great for a club because no one’s here after 5 p.m. or on the weekends. Of course, the question of gentrification makes things a little more complex, because yeah, now that we’re here, it might be more appealing for people to live here or start a fancy coffee place—at least for five years, anyway. De School is an old school and we really left it like that. The idea of a club is not so different from a school: it’s just hundreds of kids being slightly too energetic. We didn’t change much—we didn’t even erase the dicks kids drew on the walls. We really started working on it in November, so we only had two months to turn the building into a restaurant and a club. We worked through Christmas and New Years, but since everything was closed around then, it wasn’t possible to order some of the things we needed—like toilets. 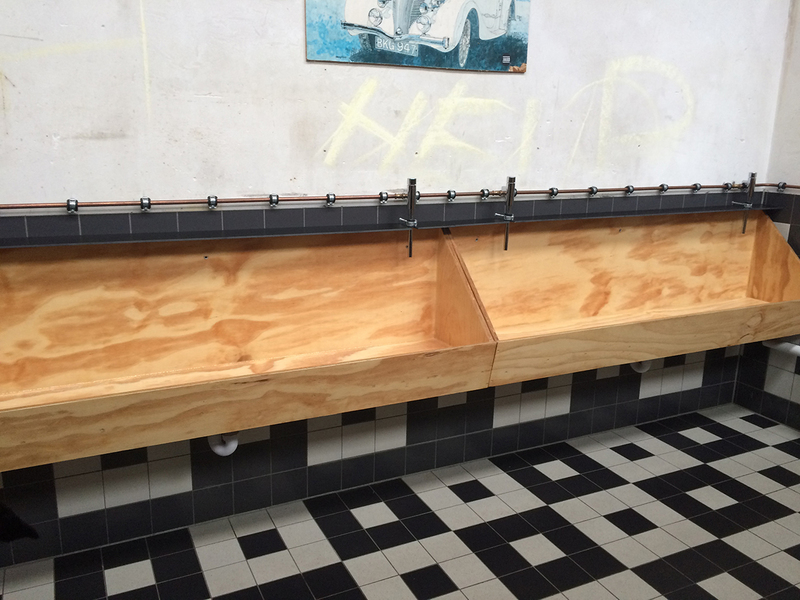 We ended up making the urinals out of wood. The most beautiful thing was that we had a lot of volunteers helping; club kids would ride their bikes here, ring the bell and say, “We’ve come to help. What can we do?” Some of the resident DJs also helped as well. I like the idea of a resident DJ painting the walls of the club. Some helped for a few hours and others helped nonstop for weeks. When we opened the club we thought we were going to see a lot of familiar faces from Trouw, and although there were a lot of Trouw people at the opening party, De School has a new crowd. It’s only been a year since Trouw closed, but nightlife changes quickly. People who were in their late 20s when Trouw closed have quit studying and have jobs now, so we have new kids coming in. It’s a different club. We all loved Trouw; it was the most important place ever for me. But towards the end we did notice some developments that we wanted to break from with De School, because we wanted to learn from it and take all the good things. For instance, Trouw was such a beautiful space, but because dancers could stand on a big platform a bit higher than the crowd and behind the DJs, people tended to move and look in the direction of the booth, take a lot of photos and wait to be entertained. I’m fine with entertainment, but I think it’s not good for nightlife and clubbing because people don’t really participate in it. We wanted to make De School more social, so we made the DJ booth on the ground in the crowd, so only 30 or 40 people can see the DJ—the rest have to find another way to have fun. There are almost no lights, so it’s super dark, and we have a low ceiling. Plus, you’re not allowed to take photos at De School. The space is quite big but the dance floor itself is smaller—we can fit about 700 or 800 people—and there’s more space for people to wander around. There’s a smoking room upstairs and a courtyard, and we’re thinking about sometimes having certain rooms open at random times so clubbers won’t know what to expect. Sometimes a room will just be open for a few hours. Read more club features on Pittsburgh’s Hot Mass and Berlin’s Heideglühen, and check out De School’s upcoming events on its website.